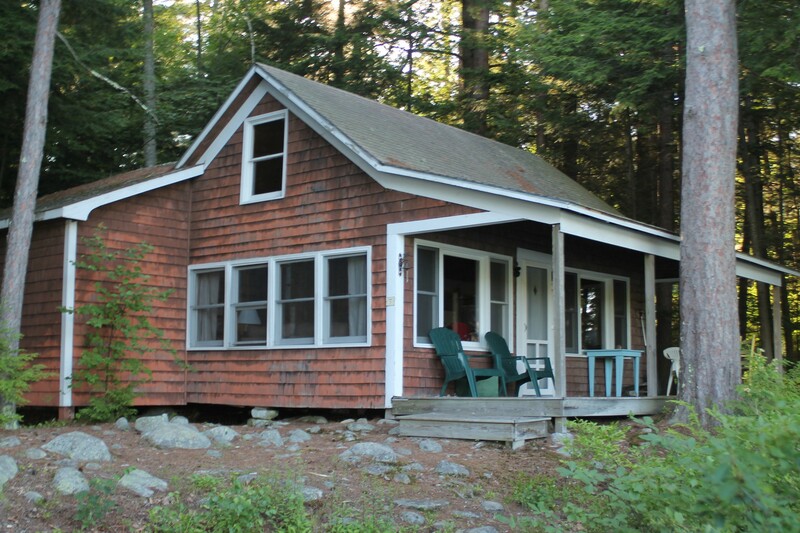 Located on the southwest side of the island, the Rayment camp consists of two cabins and a small bunk house. 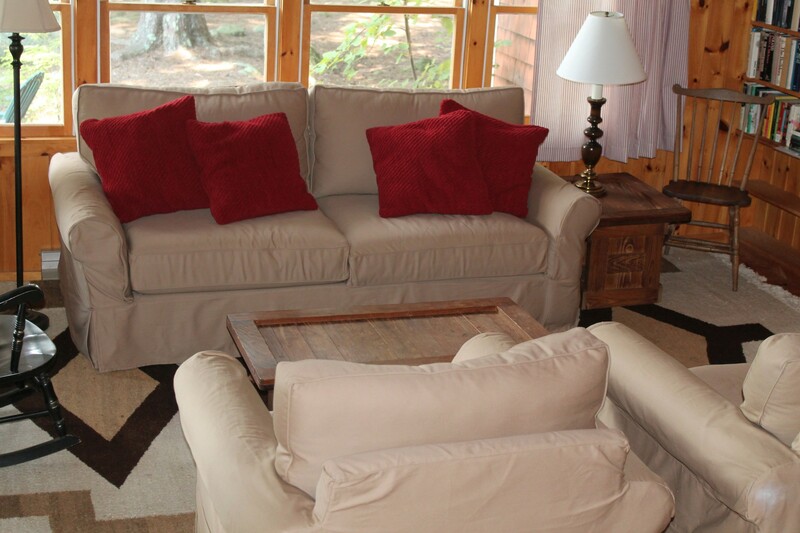 It is an ideal spot for larger families or family groups, who would like to remain close but have their own space. 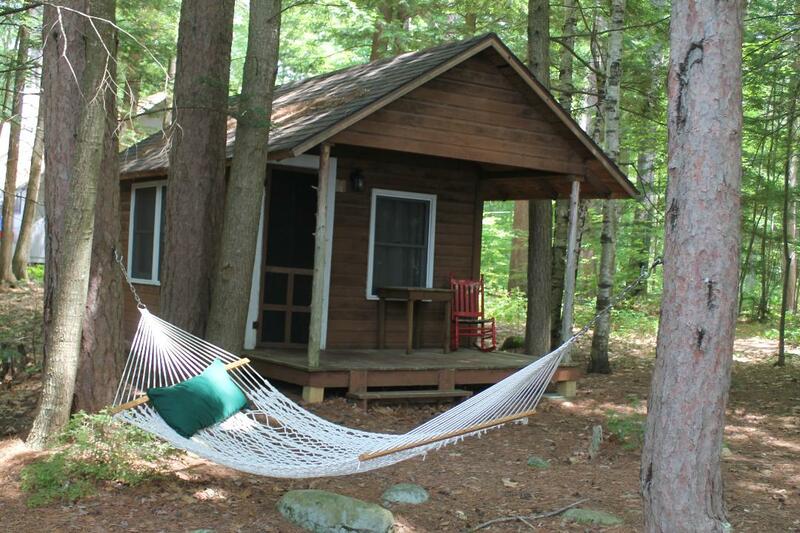 Rayment #5 has two bedrooms (one with a queen bed and one with two sets of bunk beds). The full kitchen has a spacious counter top, an eat-in area and is open to the living room. 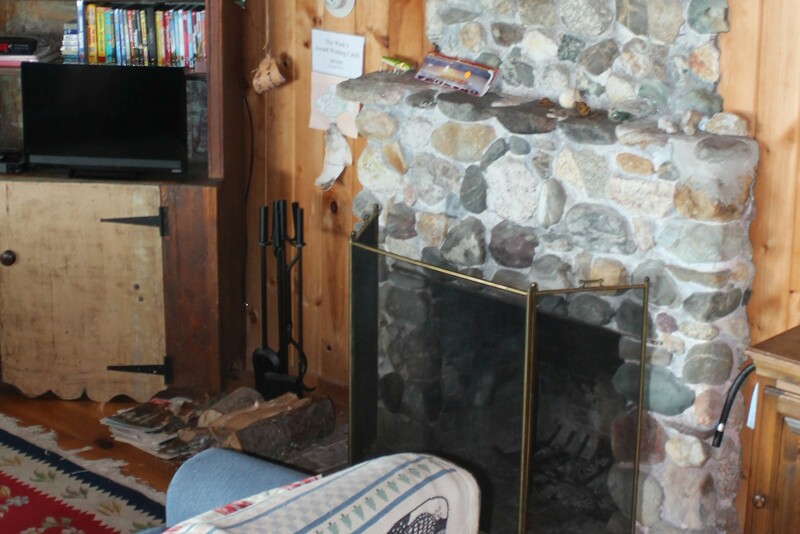 The living room has a beautiful stone fireplace, as well as a pull-out couch for added sleeping. The full bathroom is complete with a shower/bathtub. Rayment #7 also has two bedrooms (one with a queen bed and one with two twins). The kitchenette is open to the living room, which has a newly furnished sitting area and a cozy reading corner. The full bathroom is complete with a shower/bathtub. 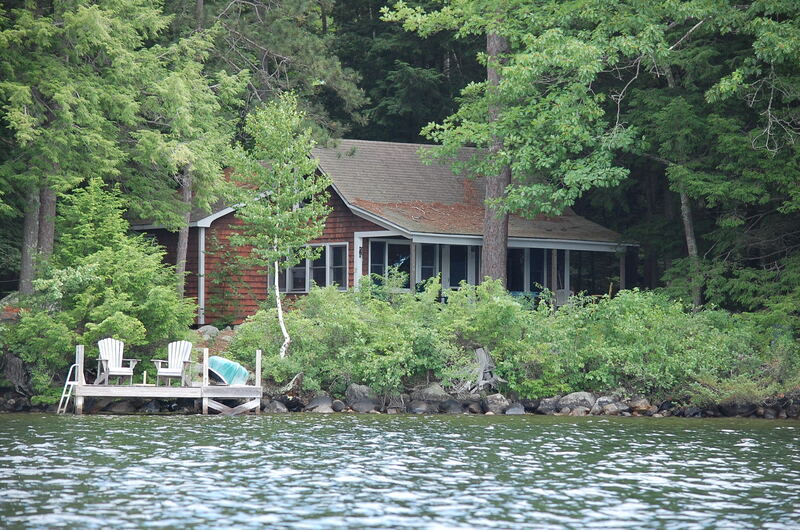 For added sleeping, there is a small bunk house with two twin beds and a small covered porch. 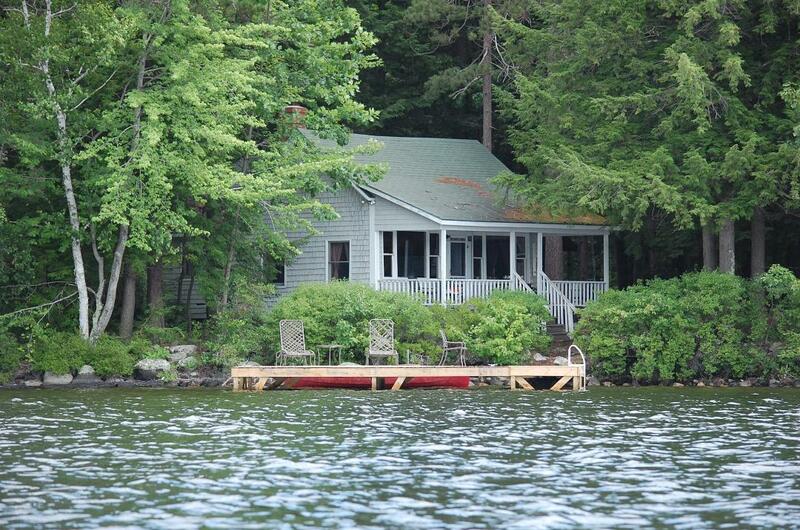 You can enjoy full afternoon sun on the large docks or enjoy a quiet paddle in the cabins' canoes. 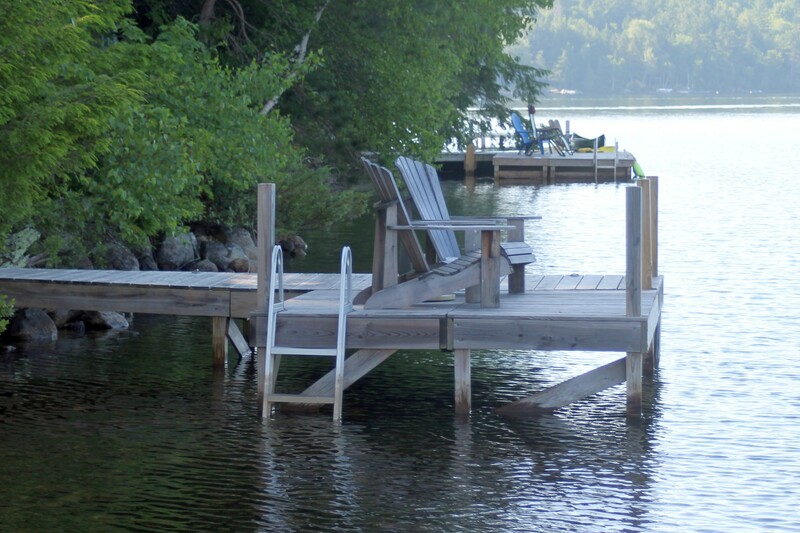 A swimming raft just off the dock at Rayment #5 is always popular for games of "King of the Raft." 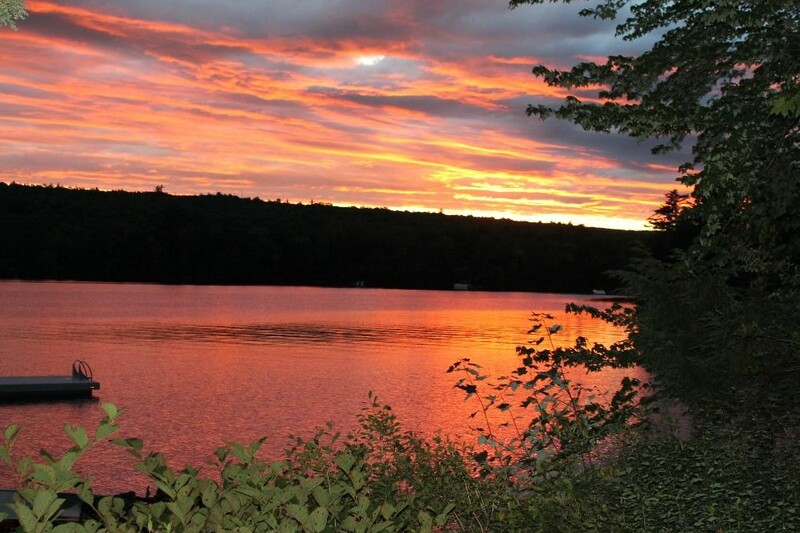 Each cabin, with its covered deck, overlooks the lake and is an ideal spot for reading, relaxing or enjoying the spectacular view of the sunset.